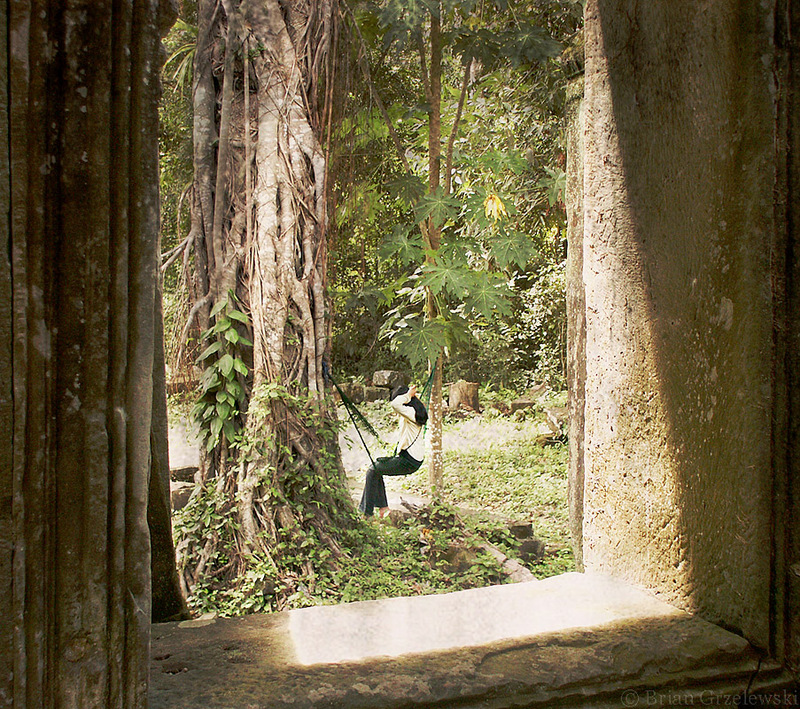 Out in the hot humid jungle behind the ruins of an ancient temple of Preah Khan, sits a girl in a hammock. She sells cold drinks to the visitors. When no one is around, she combs her hair and waits for the next person. This entry was posted in Cambodia by Brian. Bookmark the permalink.